Our traditional, centralized water systems aren’t going to go away any time soon, but as we modernize and upgrade our infrastructure we’ll need to also add smaller, distributed systems. Newsha Ajami, from Stanford’s Water in the West program, talks about how to drive and fund this innovation. The infrastructure that brings us our drinking water and pipes away our wastewater is something we often take for granted – until there’s a problem. And these days, we may have more and more problems as our water infrastructure ages and faces increased pressure from urbanization, climate change and population growth. 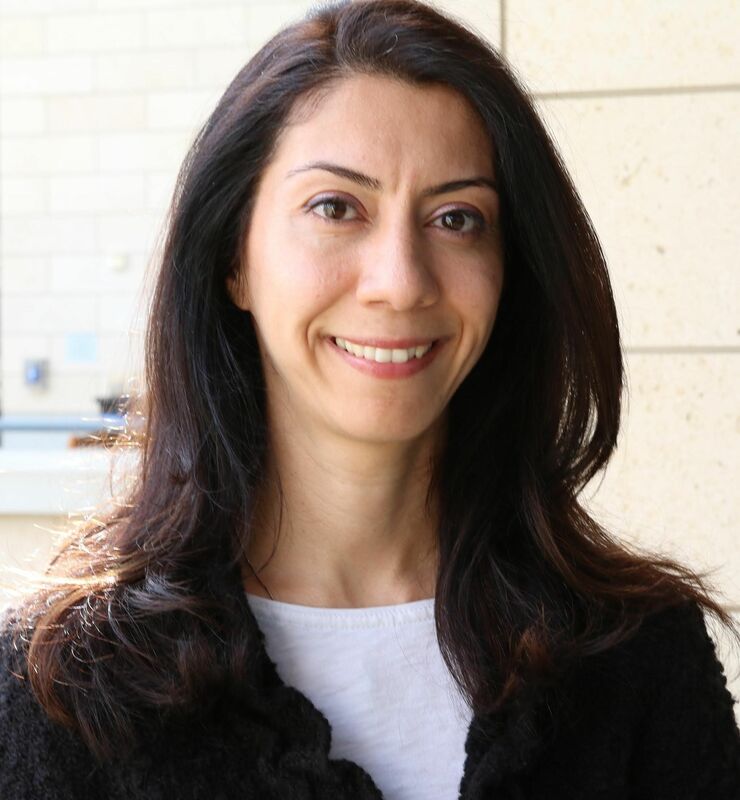 This calls for innovative solutions to building, governing and funding our water systems, says Newsha Ajami, director of Urban Water Policy with Stanford University’s Water in the West and the National Science Foundation’s ReNUWIt initiatives. Some of Ajami’s recent work has focused on researching small-scale distributed water systems and finding innovative solutions to water problems and ways to fund them. The work also involves rethinking the governance structure of water agencies to allow regions to cooperate and collaborate in the sharing of resources. “Tackling these modern challenges calls for new thinking and innovative, multi-purpose infrastructure solutions,” says a report she coauthored, Tapping into Alternative Ways to Fund Innovative and Multi-Purpose Water Projects, which was published in February. Ajami recently talked to Water Deeply about the state of our water infrastructure, how we can modernize it and what key lessons we can learn from the energy sector. Water Deeply: A few years ago the American Society of Civil Engineers gave the U.S. drinking water infrastructure system a D grade. Are things really that bad? Newsha Ajami: These are manmade infrastructures so they have a lifespan – some 50, some 100 years. In the East Coast some of these systems are now older than 100 years. Eventually they start degrading, they need to be maintained, repaired or replaced. Depending on which part of our nation you look into, and how old the urbanization and development is in that region, it can have pretty old infrastructure that has been in operation for more than a century. Water Deeply: Why aren’t we better at repairing it – have the funding sources changed for addressing those upgrades? Newsha Ajami: As infrastructure ages, the maintenance cost goes up. The challenge is that water agencies’ hands are tied, as water rates do not fully cover the cost of the service. We have about 155,000 public water systems in the country, about 55,000 of them are community water systems serving very small communities. Some of these service providers don’t have the human capital, expertise or financial means to maintain or replace their aging systems. Historically our response to our water infrastructure challenges has been reactive rather than proactive. The challenge is that because we are not allocating enough money in advance to plan for maintenance issues, when they do break, it costs more because it is an emergency situation. Water Deeply: What would an innovative approach to addressing our water infrastructure look like? Newsha Ajami: The centralized water systems are not going to go away. What we can do is extend their life and create more flexibility by implementing smaller solutions along the way to be able to manage our existing system in a better way and be able to take some of the load off our aging infrastructure gradually or permanently. We can do this in two ways. The first is to start thinking about how we can take advantage of nature and use smaller, distributed systems to bring flexibility to our existing rigid infrastructure. For example, this could include using stormwater capture systems, low-impact development, green infrastructure, recycling or reuse. The second way is to start reimagining and rethinking the way we govern our water systems. We are still managing our water resources based on some of the historical hydrologic and climatic realities that do not repeat themselves partly due to rapid climate variability. For example, we expect this much snowpack and precipitation at certain times of the year, which would lead to filling the reservoirs that would provide us water at different times of year. As soon as those assumptions don’t hold any more, we are going to have a lot of problems managing our existing complex water supply system. So we need to rethink how we can bring more resiliency and flexibility into the system by changing the way we manage our water systems. Some of the rainwater that we receive now could be stored underground – bank it in a groundwater system, or bring it down to lower parts of the watershed and store in a local surface or underground reservoir. We can also capture rainwater locally and use it for various purposes such as outdoor water use. We need to diversify our water supply sources and as we diversify the supplies, we need to rethink our management tools that would fit this new water supply portfolio more appropriately. To make this happen we also need to rethink the way we finance our water projects. Traditional funding mechanisms are not reliable or at times not suitable for smaller, more innovative water solutions. Water Deeply: In looking for innovative ways to fund water projects, you examined the energy sector, what did you learn? Newsha Ajami: When you look at the energy sector, they have been very successful in moving forward and implementing new solutions and promoting innovation and taking innovative solutions from idea to real-world dissemination. Today, we can see solar panels or small wind turbines on people’s roofs, which was not a common scene 10 years ago. We can see many different innovative clean energy solutions that are implemented at the end-user level or the municipality scale. It makes you wonder how these projects are funded? We decided to study different distributed energy solutions implemented at various scales and identify what kind of funding mechanisms were used in financing them. We asked questions such as: Where did the monies come from? How were the funds distributed? Was adoption of these solutions incentivized through various tax measures? Were the funds directly distributed to the customers and end users through rebates or other kinds of incentives, or only municipalities, or did the commercial and industrial sector have access to them? Water Deeply: What did you learn and were any of the models used by the energy sector something transferrable to the water sector? Newsha Ajami: One of the main takeaways is that electricity is more expensive than water and as an end user/customer, if I am investing in a solar panel I will recover the cost of my investment very quickly through lowering my energy bill. Or think about replacing your windows, you pay the upfront cost, and receive a tax credit and/or rebates from your utility in addition to reducing your energy use and ultimately your monthly energy cost. But water is not as expensive, so savings through implementation of distributed water projects don’t always add up to significant savings. Water Deeply: Other than raising the price of water, how do you get people to be more invested in these solutions? Newsha Ajami: The key here is to price water more thoughtfully. Making sure that the price of water reflects its value to us and to the environment. We can promote investment in and adoption of innovative solutions through the regulatory process. One option would be to develop something similar to the Renewable Portfolio Standards but for the water sector. It would be a way to focus on diversifying water supply portfolios. For water it will look different from region to region, from locality to locality, from East Coast to West Coast. Water Deeply: Are there certain policy or regulatory changes in California that are needed for distributed systems like gray water? Newsha Ajami: Yes, we need to better understand laws and policies that can promote gray water reuse, stormwater capture, direct potable reuse, these kind of policies – some has to happen at the state level, some has to happen locally. Some counties or cities have ordinances that allow gray water reuse, some don’t. Making that more statewide would be very useful to promote innovation and creating a market. Water Deeply: And are there ways that the water sector can do better when it comes to technology and data collection? Newsha Ajami: There are some parts of the state that don’t have water meters. That is going to change soon by the law that passed a few years back. The challenge is to make sure we install state-of-the-art solutions rather than an antiquated technology. Some of these municipalities are implementing analog meters, which requires someone to read the meter every month or every other month to see how much water each customer has used. In the age of big data this kind of technology seems to be inadequate. However, 21st-century smart meters are a thing right now. If we are making an investment why wouldn’t we invest in the best available technology? Data is a big, big challenge for sure and obviously we can’t manage our water resources efficiently and sustainably if we don’t know what we have and how we are using it.